Christmas time is fast approaching and with it comes the time to start decorating! For those full of the holiday spirit, decorating is a fun and creative time, and for those who are not quite in the holiday spirit, this time of year can be full of stress and hair-pulling. 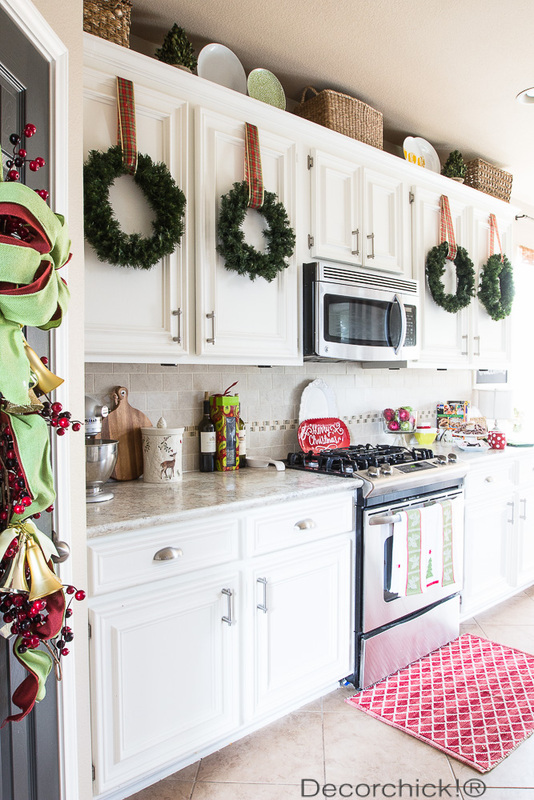 Regardless of which category you fall into, these 17 ways to decorate inside with Christmas wreaths can make your decorating a little easier and bit more creative! 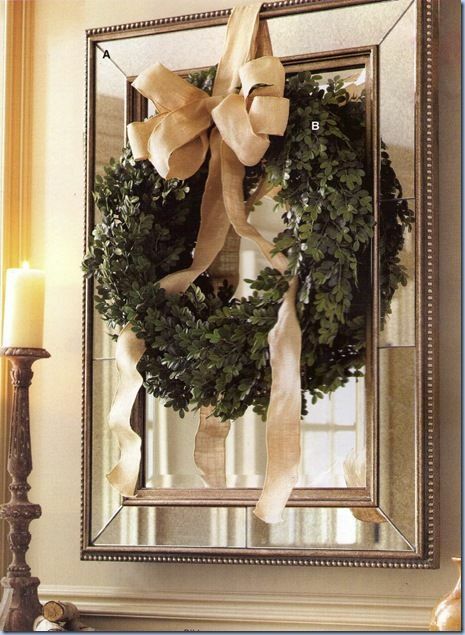 Rather than hanging one massive wreath in the window, try for a more varied look. 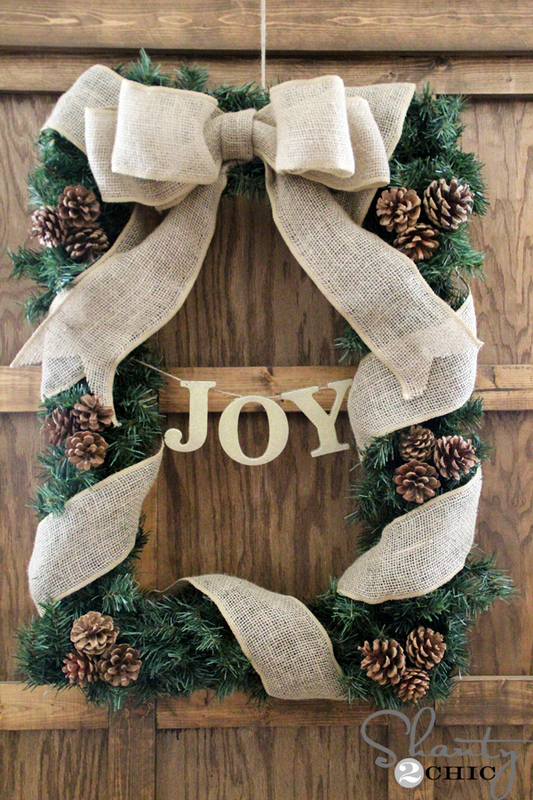 Make several smaller wreaths of different sizes and in different styles and hang them in the windows of your home. They create an interesting look and feel and are a Christmas decoration even the less than enthusiastic decorator can master! 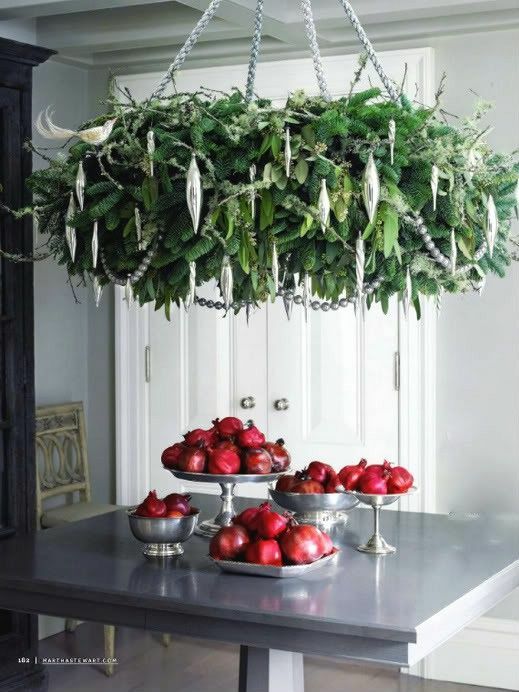 Hanging a wreath is easy but hanging one up inside and turning it into a stunning chandelier is something new and amazing. Wrap it with ribbons and bows and hang your favorite ornaments for a one of a kind Christmas piece for your living room or dining room area. 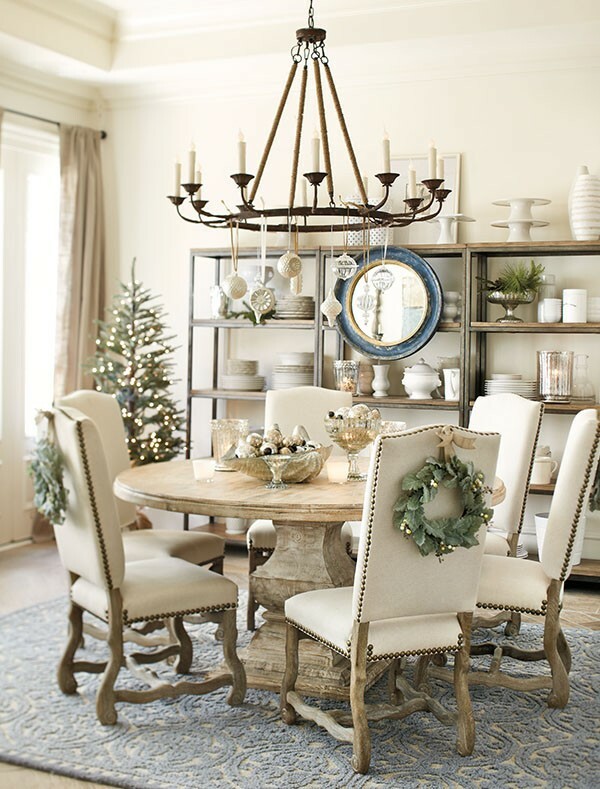 Light the way this holiday season and welcome friends and family into your home with style. Centerpieces are a big part of Christmas decorating but they can present a challenge to many people, especially if they have limited space or supplies to work with. Turning an ordinary wreath into a stunning table top display is easy. 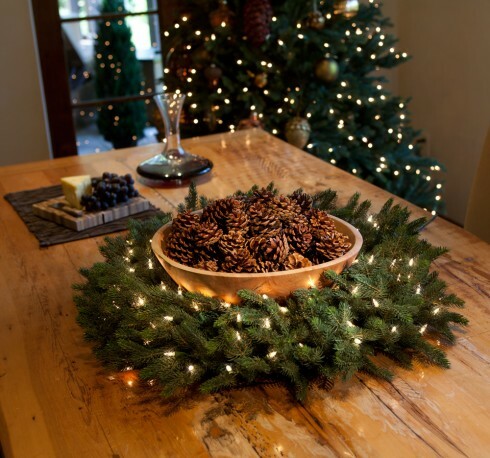 Throw on some lights and a bowl of pine cones, berries, Christmas bulbs, or anything else seasonal and you have your centerpiece! Most homes have a clock on the wall as a standard part of their home décor. This Christmas season, take the ordinary and make it extraordinary. 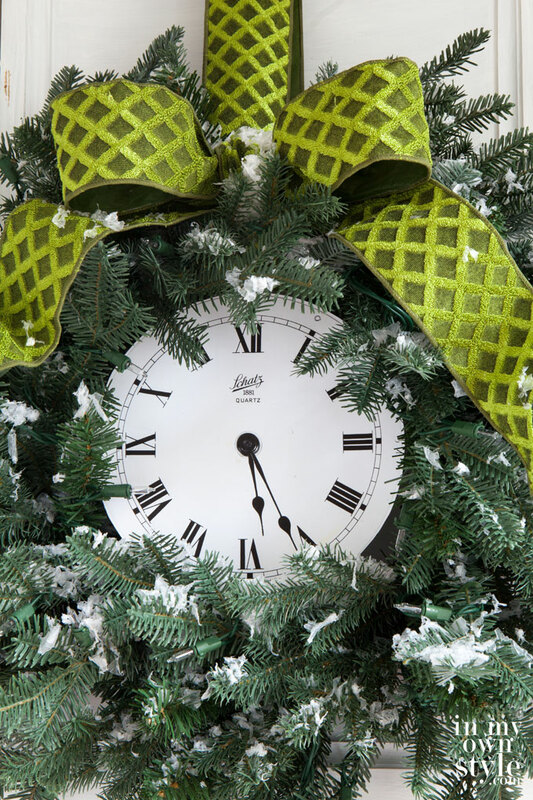 Hang your wreath around the clock to create a festive and beautiful focal point that keeps the functionality of the clock in tact while still putting your home in the Christmas spirit. 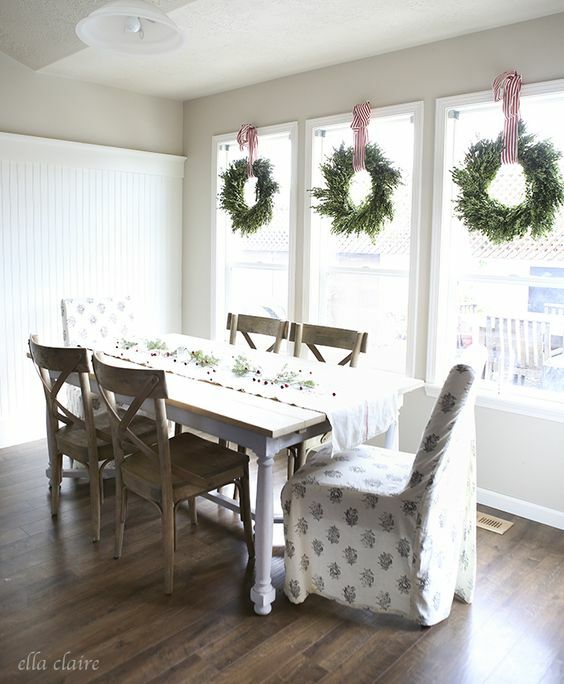 Most homes have mirrors and many times homeowners do not know what to do with them for the holidays. So they throw some lights or garland around them and leave it at that. Why not try something more? 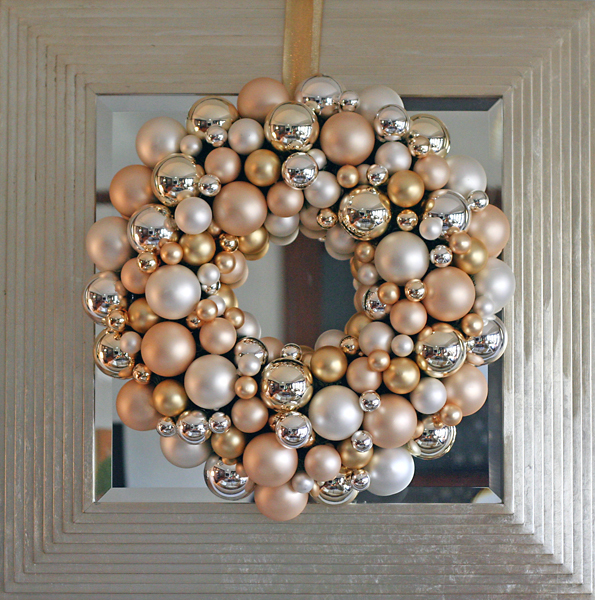 Make a miniature wreath and hang it over the mirror. You can get some interesting looks and effects with the lighting and reflections if you play it just right. Pictures on the wall often hang there year after year and get little love and attention. Make those family photos part of your Christmas décor this year by making some wreath picture frames. Simple or complex, you an make them however you want and they are a fun and creative way to add Christmas charm without a lot off rearranging and remolding needed. 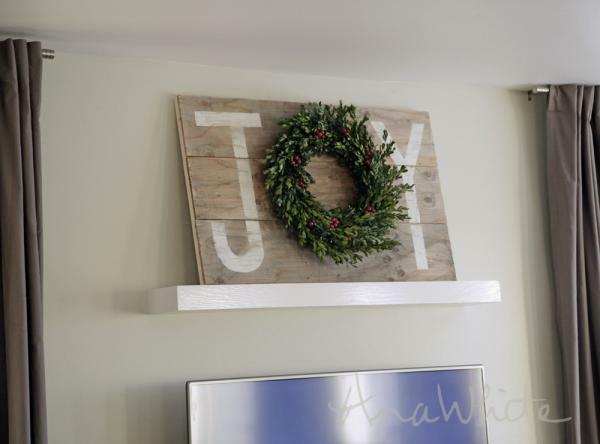 If you are handy with a paintbrush, with wood, or some other art medium, then make some beautiful Christmas themed wall art for your home. 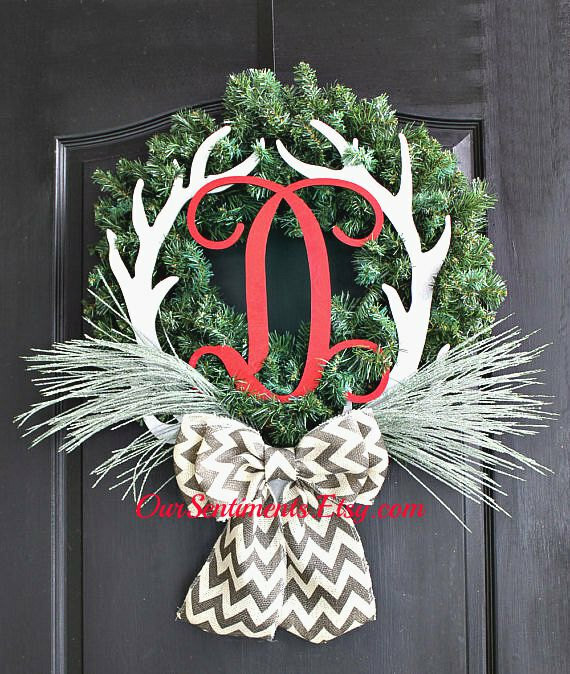 Incorporating a Christmas wreath into your project can be a fun challenge and you can come up with some really unique and interesting looks that will keep family and friends talking all season long! Want to make each member of the family feel special? 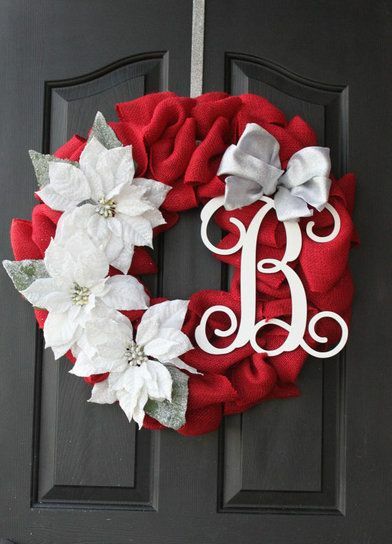 Create a monogrammed Christmas wreath for their bedroom door. There are so many different kinds to choose from, so you can always find one to fit the personality of each of the kids in the family. 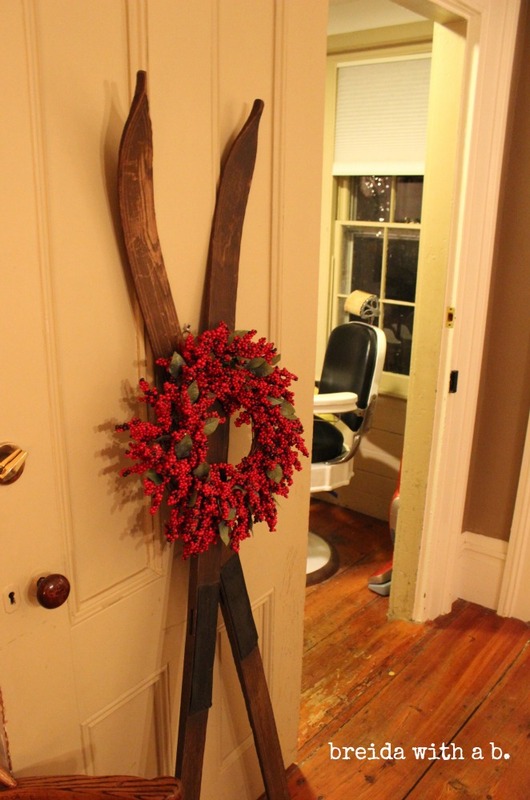 These antique skis are adorned with a red Christmas wreath for the perfect accent on a Christmas classic. 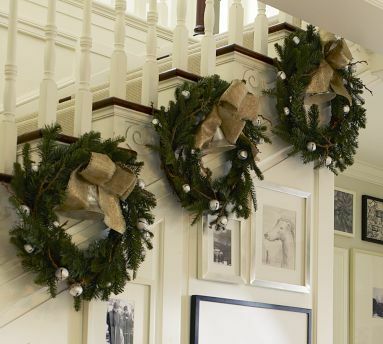 Get creative on where you place wreaths around the house. 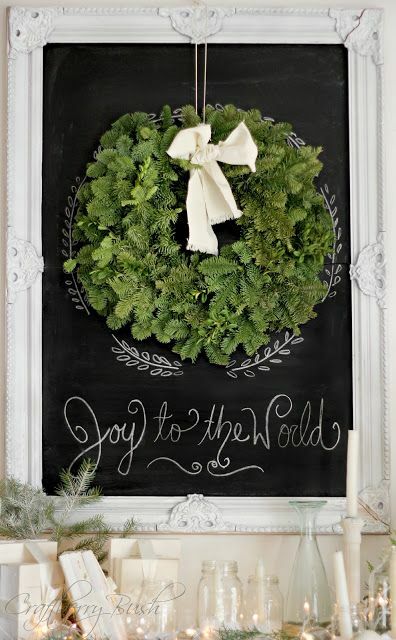 You might surprise yourself with how many ways you can find to decorate with wreaths. 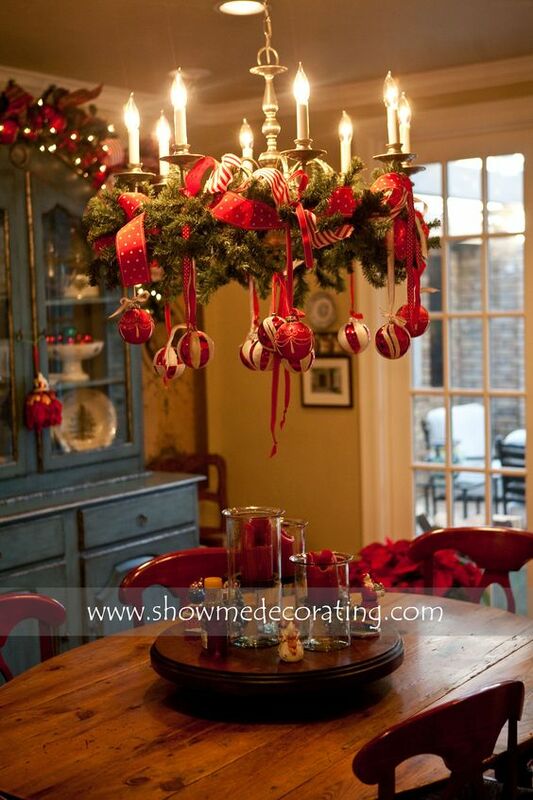 What a cute and inexpensive way to decorate your dining room for Christmas! 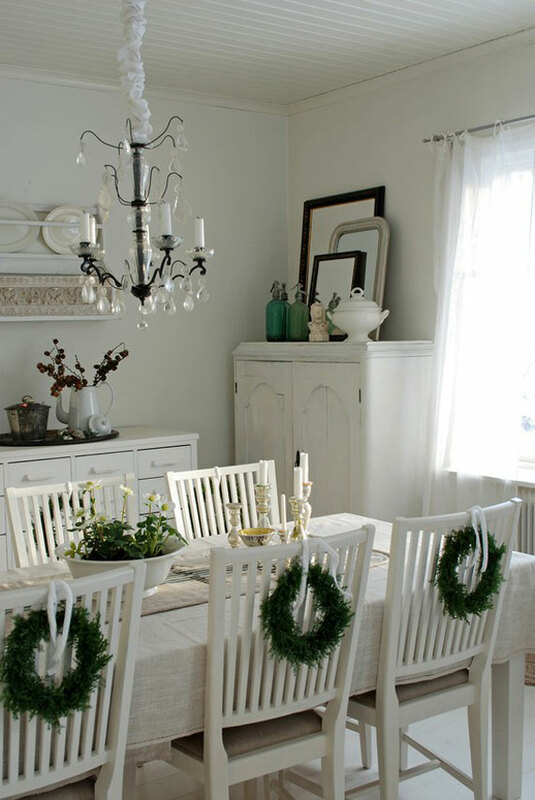 Chair wreaths can be dressed up or down depending on the style and formality of the dining room. Have fun with it! 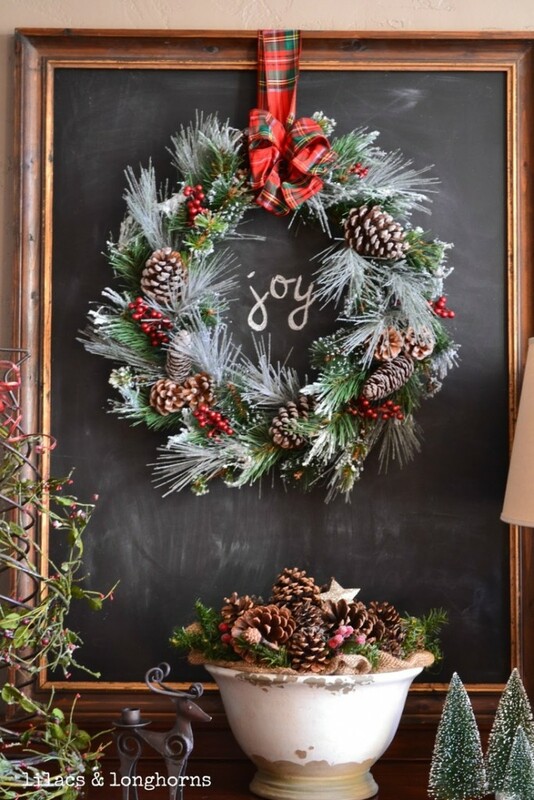 A framed chalkboard is a unique backdrop for a Christmas wreath. You can keep the chalkboard clean or write your favorite Christmas blessings. 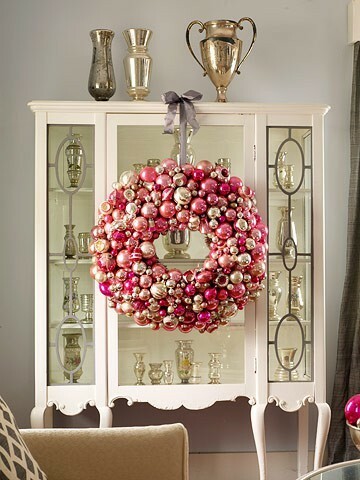 Your dining room hutch is the perfect place to display a gorgeous Christmas wreath. Depending on how formal your room is decorated, you can use a simple greenery wreath or a shiny ornament wreath to make the dining room Pop! The kitchen can be a difficult room to decorate for Christmas simply because you can't have items in your way when you're cooking. 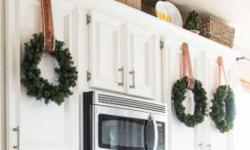 But this is a simple way to really bring the holidays into your kitchen without fire hazards, or decor items on the counter. 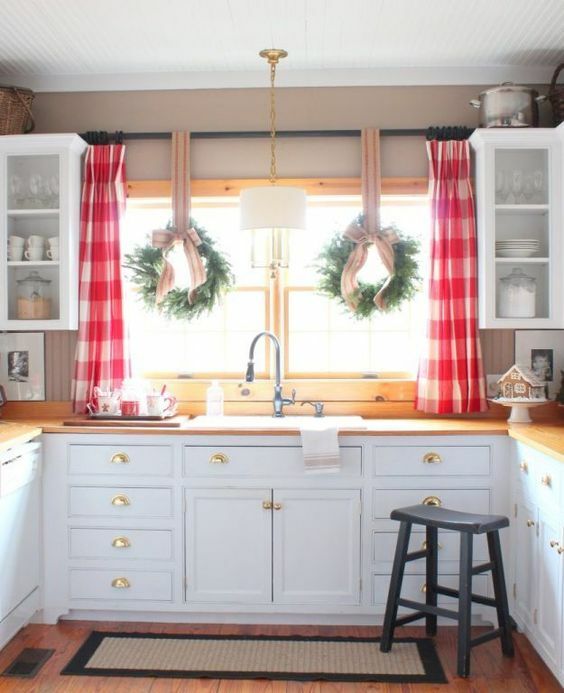 Just attach a pretty ribbon to the wreath and hang on the cabinet door. The stairway is the perfect place to decorate your home for the holidays. Find small wreaths that will fit on the railing or just beneath in quantities of 3 or 5 - Odd numbers of similar items are more visually appealing. Making your bedroom festive is easy with a simple pre-lit wreath and garland hung over your bed. 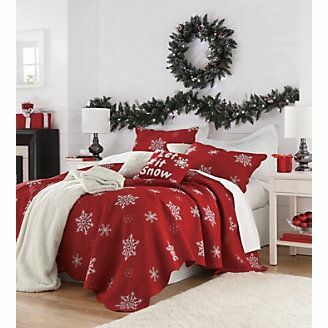 Find a festive comforter and pillows to complete the look! 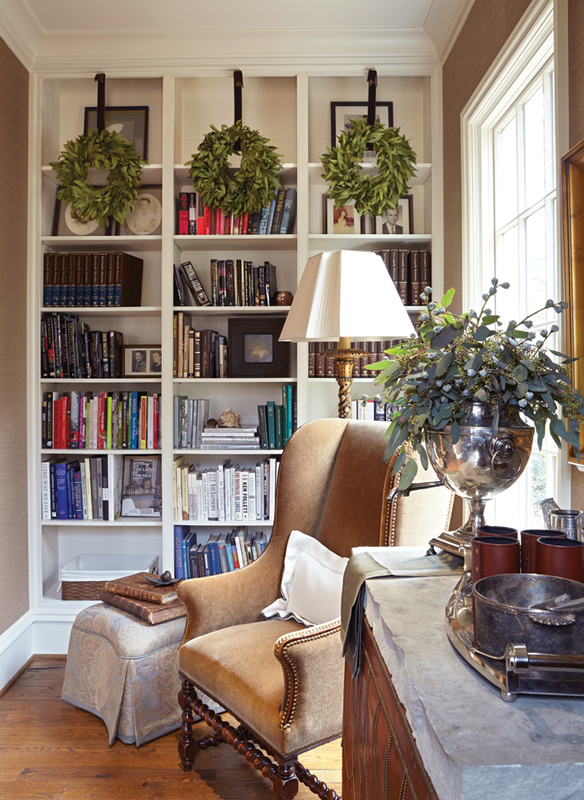 Placing a few wreaths over your favorite bookcase or built-ins adds to the Christmas decor without being overpowering. Find the perfect ribbons to complement the space. 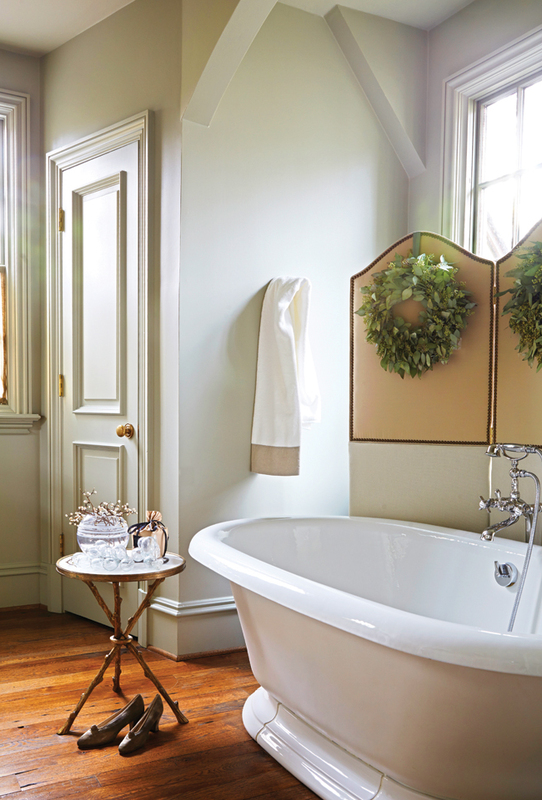 If you love to take a hot bath as much as I do, decorate around your bathtub with Christmas wreaths. Besides looking amazing, it smells fantastic while you're soaking. 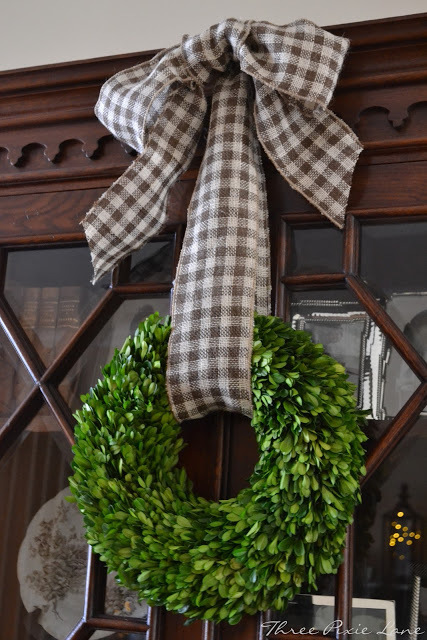 Now you can see that Christmas wreaths aren't just for front doors or outside decorations. You can use them throughout your home for a festive addition to your Christmas decor.